The London-based, family-owned company maintains strong principles, from sourcing chocolate and other raw ingredients to how the chocolates are handmade and packaged though they do not go bean to bar with their chocolate. Plastic packaging is avoided as much as possible and high quality, innovative paper and card packaging is used in as many products as possible. That way Easter is less about plastic and more about chocolate! 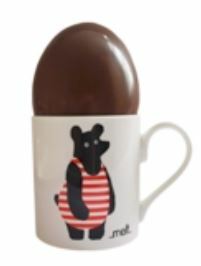 Melt Chocolates Easter range has a 1970’s glam feel, with bold floral designs. The range is bursting with style and personality for 2015. Melts’ signature eggs for Easter 2015 are bold and bright with a retro vibe. 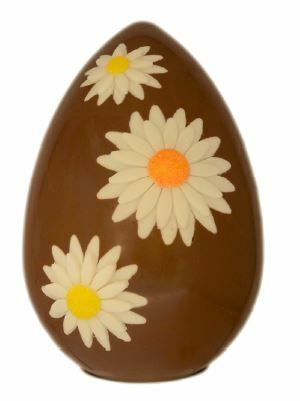 Our Head Chocolatier has designed an egg that will appeal to all ages. The best one is of course most daisy-riffic! A kooky-chic number that is filled to the brim with delicious mini chocolate eggs. Presented in beautiful pastel pink, blue or yellow Melt gift boxes. For complete and utter taste sensation, then The Melt Salted Caramel Egg is deliciously decadent. 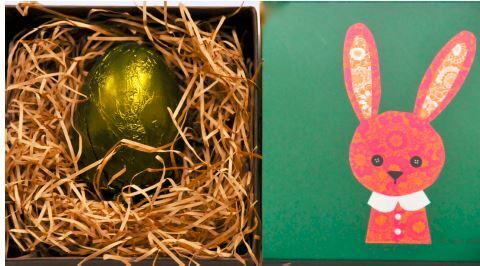 Melt’s Salted Caramel Egg, encased in dark chocolate and nestled inside a beautifully designed Rita Rabbit box from fab Brit illustrator Lisa Jones. More from the bunny family – Melts’ signature Spring bunnies come in a range of baby pastels, yellow, pink and moss green. Handmade, and hand decorated, each bunny is unique and has its own personality! Finally, if you are after a little Easter treat then Melt’s Maraca Egg is a Melt classic and is a great choice for young children. The milk chocolate egg is filled with chocolate “seeds” that make a fantastic maraca sound when shaken! 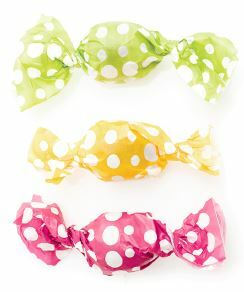 With bright spotty wrappers they have instant appeal.